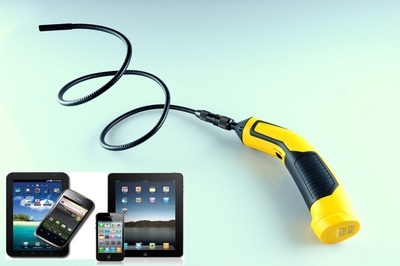 Articulating Flexible Inspection Camera for iPhone/Android - Oasis Scientific Inc. This Vividia VA-300 WiFi Wireless Video Borescope System with Articulating 5.5mm Diameter probe works perfectly with iPhones/iPads/iPod Touch/Android Smartphones/Tablets. 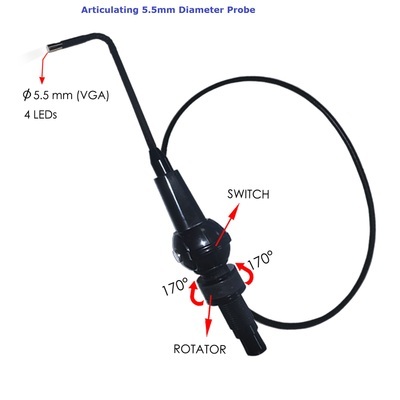 It allows you to perform a detailed visual inspection in hard-to-reach areas, even in total darkness or under water. 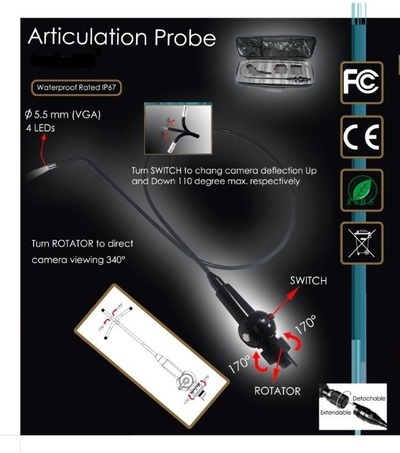 It sends the camera video to your device using Wi-Fi technology, allowing you to view live video on the device's screen. 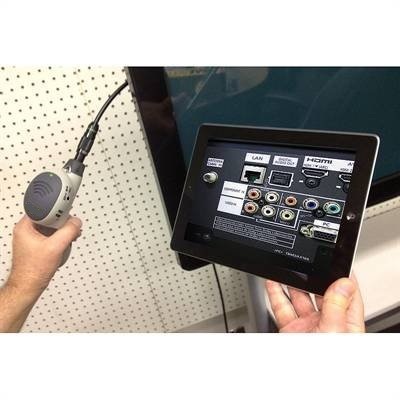 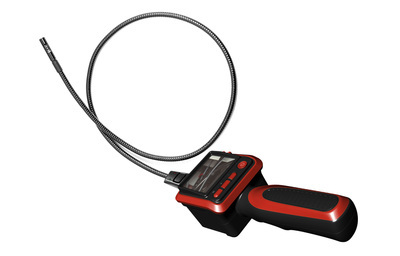 The “iBORESCOPE” application used to view the video is available for free at Apple's "App Store" or Google's "Google Play." 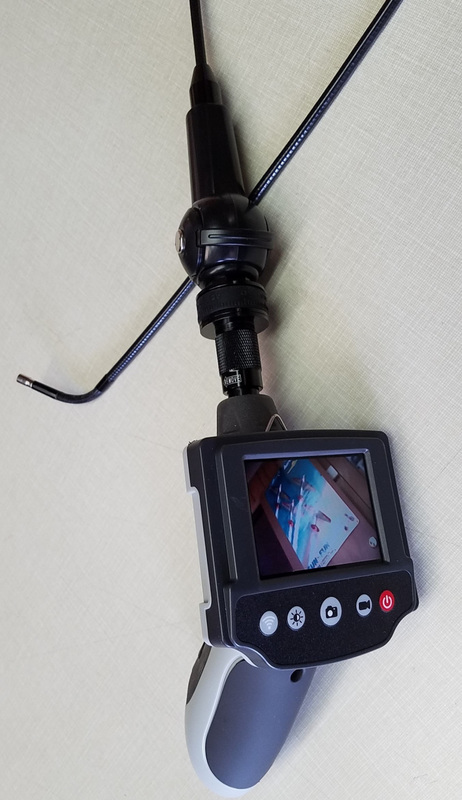 The Wi-Fi network, or hot spot, generated by the camera has a range of 60 feet, is password-protected, and allows multiple devices to simultaneously view the live feed. 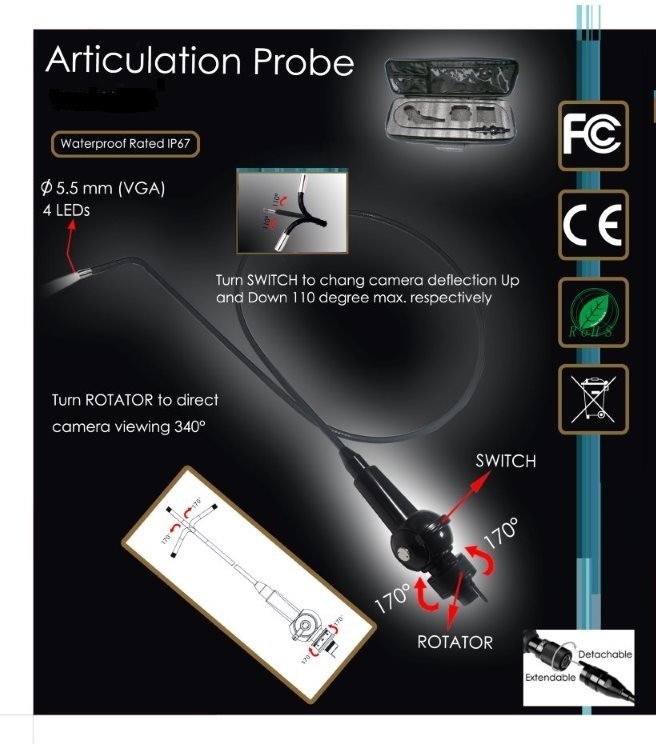 The articulating 5.5mm diameter probe with +/-110 degree sweep, and 340-degree rotation offer a panoramic view of the area being inspected. 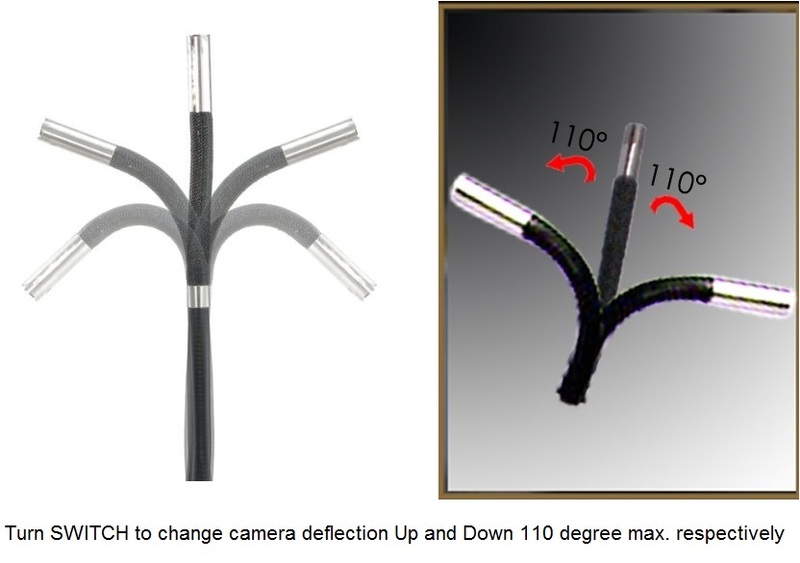 This camera allows you to easily capture snapshots or videos with rich color throughout a dynamic range from 2cm to infinity. The waterproof camera head and cable withstand any wet environment. 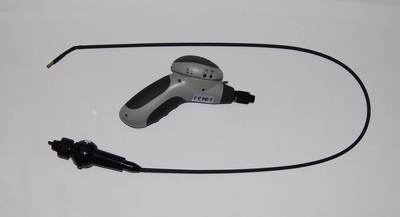 Powered by a lithium ion battery that is charged with the included USB cable for up to 3 hours of use, this unit is ideal for use in aircraft maintenance, machinery and production line inspection, petro-chemical and power plant inspection, general MRO and facility management where closely documented small space inspections are essential.